 For shoes that need some tender love and care, this boot rescue spray will no long let you suffer in silence! 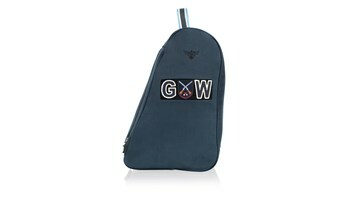 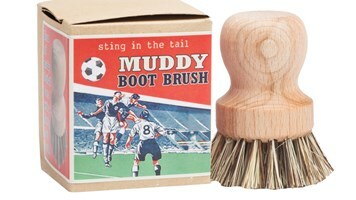 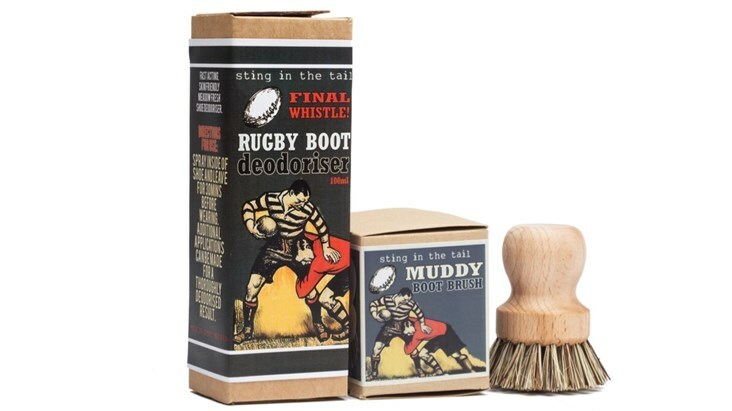 Choose between dog design, football and rugby, with a fun and practical boot brush to match. 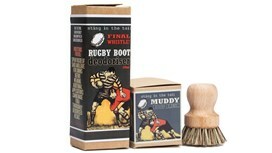 A great stocking filler that is worth the investment as fields get muddier and shoes get smellier! 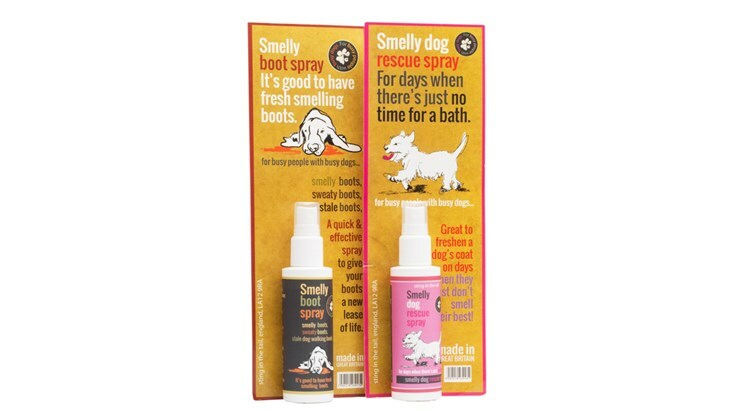 Please note that we have now sold out of the Pink Smelly Dog Rescue Spray, displayed in this picture next to our grey boot spray.